Happy Black Friday! Hope you all had a wonderful Thanksgiving. I am extremely thankful for all of you, and for all the readers and writers who make the world of young adult literature an amazing place. The Rider and his dragon have come farther than anyone dared to hope. But can they topple the evil king Galbatorix and restore justice to Alagaësia? And if so, at what cost? Fast action, strategy, and mystery churn together into a bold and fresh fantasy from an award-winning author. 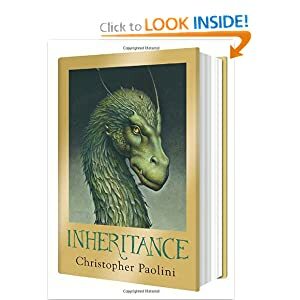 Author Question: What is your favorite thing about Elemental? 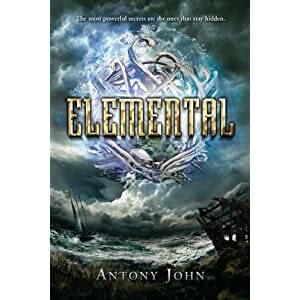 More than any book I've written, ELEMENTAL is the novel I want to give to teen me. Until time travel happens, I guess that's not really feasible, which is a shame. Teen me had a short concentration span and was scared of long books. Teen me craved adventure and a healthy dose of suspense. Teen me wasn't terribly special in most of the ways that teen boys wish they were special. And it's exactly these ingredients that I threw into the mix of ELEMENTAL: a main character who is an outsider faces a dangerous situation and must work out what's going on, even though it seems he is the least suited to do so. And all of this is packaged in a book that is fast-moving and suspenseful. What I love about this is that even though I won't get to enjoy ELEMENTAL as a teen, I know plenty of teen boys who are the same as I used to be. This is my book for them. In 1929, the Bright Young Things escape Manhattan's heat for the lush lawns and sparkling bays of White Cove, looking for leisure, love, and luck. New York City's latest It Girl, Cordelia Grey, is flying high with celebrity pilot Max Darby. But Max is a private person with a reputation to upholdand a secret to hide. A public romance with a bootlegger's daughter could cost him more than just his good name. . . .
Aspiring triple threat Letty Larkspur has finally gotten her big break, but will her talentand special bond with the married silver-screen star Valentine O'Dellmake her a target in the cutthroat world of Hollywood? Perhaps the ingenue knows how to play the leading lady after all. 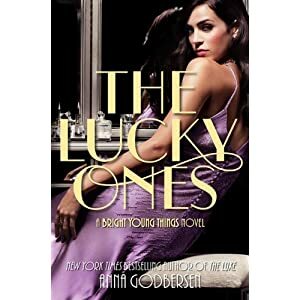 Newly married to her longtime sweetheart, socialite Astrid Donal finds herself spending more time with one of her husband's henchmen than with him. With so many secrets between man and wife, is the honeymoon already coming to an end? As summer reaches its hottest peak, these sun-kissed girls will find out if their luck can last . . . or if dark surprises are on the horizon. From the New York Times bestselling author of The Luxe comes the riveting conclusion to the one summer these Bright Young Things will never forget. Hope you had a wonderful Thanksgiving, too! Great choices to giveaway. Spread the word for you. Happy Thanksgiving! Thanks for sharing all your advice and these awesome giveaways. Black Friday! I would so much rather be on here trying to win then out in that chaos! Thank you for sharing! Wait...does that say I WON?!?! OMG. Thank you so much! This is sooo awesome! Love being able to see what you are posting. I gained so much from working with you on the First 5 Pages in Sept. Keep up the good work!